A Landing Page. I chose Netflix, as I feel it needs some work! 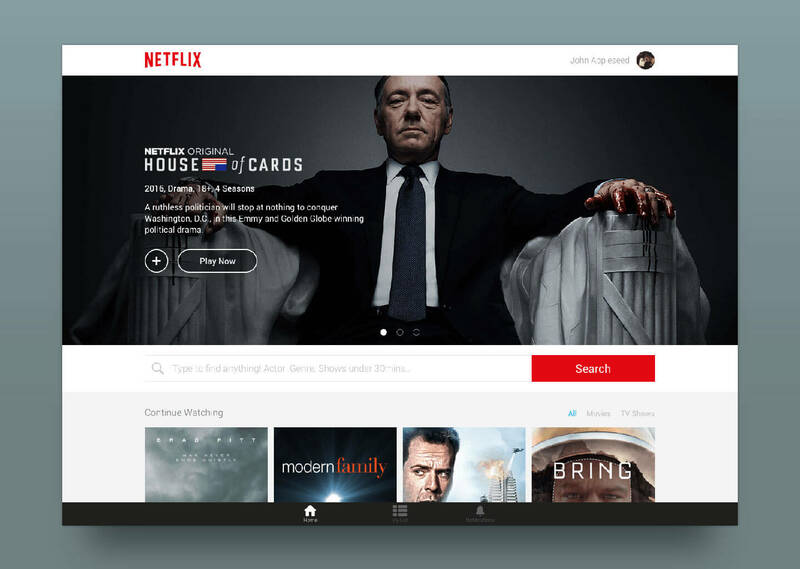 The current Netflix layout seems cluttered and I felt that there should be more emphasis on search, so I made search a main feature beneath the hero image carousel. I have tried to make the layout clearer, with more definition between each type of content recommendation type. For instance, Genres feature dimmed artwork with a bold icon for easy recognition of the genre type. I think it would be nice to have more of a curated content feel, with sections such as "Featured Directors", within which famous directors could be profiled with a long form interview, list of their films, perhaps a list of films that they have found inspiring. 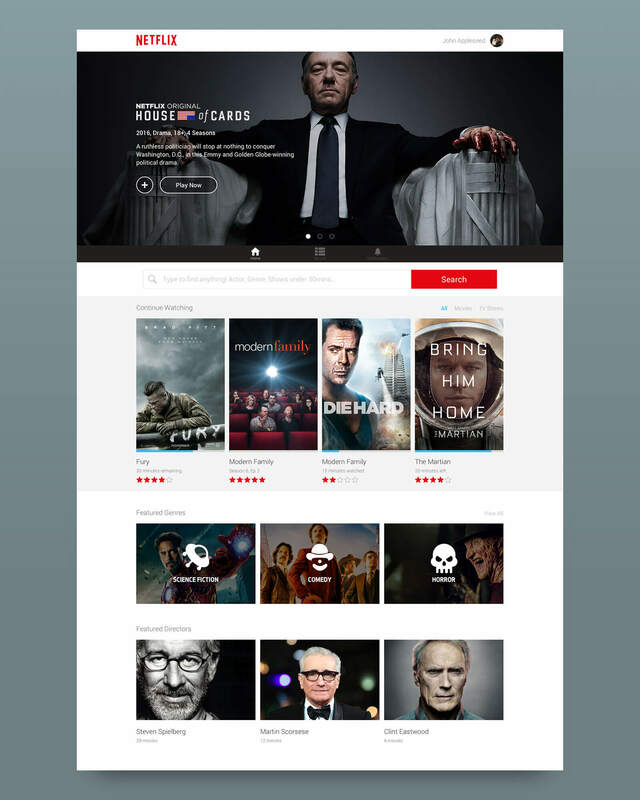 I think I am going to try to continue working the ideas here as I really believe there is a better way of presenting TV & Movie content to users.